STATE OF SHOCK S. ” 12″ EP (1988; Private). 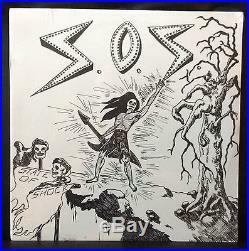 Still sealed original of this very rare and obscure 5-song power metal EP from the Midwest band. Appears to be from Iowa but recorded the record in Nebraska. This is only the second time I have found this EP and I’ve been digging/dealing in Nebraska/Iowa for almost 25 years. 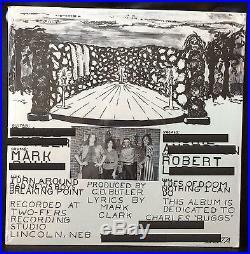 I have covered most of the credits on the back cover in case the winner wishes to try to track down the band (I have not but I don’t believe there are any copies at the source or copies would have popped up by now). This is the only copy I have. = SEALED (slight rubbing at one upper corner but overall a nice EX grade all around). 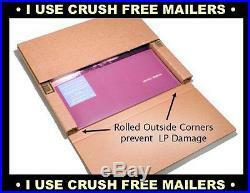 I USE CRUSH-FREE LP MAILERS. Please wait for me to send an invoice if you win more than one item. The item “STATE OF SHOCK s/t 12 EP (1988) PRIVATE METAL Midwest SEALED ORIG. S. O. S” is in sale since Wednesday, June 28, 2017. This item is in the category “Music\Records”. The seller is “zero.street” and is located in Omaha, Nebraska. This item can be shipped worldwide.